but would like to know if it's possible to use GIFS instead of photos for main portfolio image? Can you send a link to layout options for interior pages? 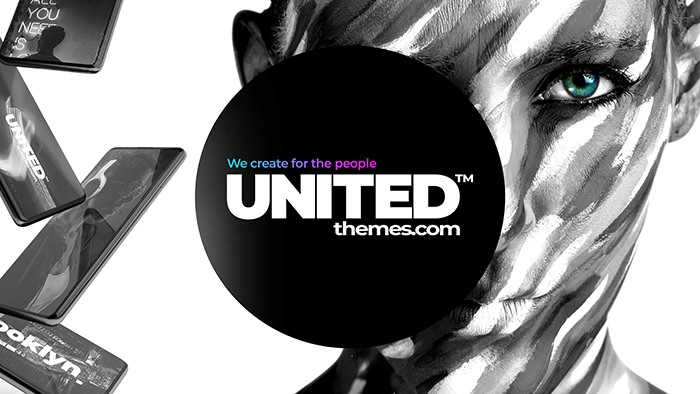 Also, would like to know if you are available to customize the theme for our agency this month or early January. Thanks so much, looking forward to hearing back. currently we have no GIF Support! But with the next patch we will add GIF support and much more. To clarify then - we can NOT currently use GIFs instead of JPGS for portfolios? Can we use GIFS anywhere in the site? Can you let me know WHEN we will be able to use GIFS? This will help us determine if we can purchase the theme. Also - are you or your team available for custom project work this month and January? Please let me know. I guess you like to use GIFs due to their ability to animate. You can use GIFs with the theme already as long as your link to the original uploaded File. For example: The Animated Image Module which can be used all over the theme has an option allowing you to choose which size of the uploaded image should be loaded. If you now select for example "large" instead of "original". The theme will load the large version of the file but this Version has been resized by WordPress already and this will kill the animation of the gif itself. This is not based on the code or your theme its the PHP Library which cannot identify the frames and therefore cuts them out. Hope that clarifies a bit. Our portfolio can only display cropped images so for now you can't use the portfolio to display animated gifs. But we are currently working on a Gird Gallery Module which can also display portfolio items and it also can display original uploaded files. We try to finish this asap but there is no fixed ETA yet. About the freelancer job we don't have any capabilities to cover large jobs. What exactly do you need? Thanks for the quick response. To clarify - we can use GIFS on the site (we will upload the file to our server) but can not have gifs as the thumbnail for a portfolio. Correct? Hoping we can show a GIF in the portfolio, we are an agency and GIFS are sometimes deliverables we feature in our portfolio. Thanks again, looking forward to your response. Yes, when it comes to the point where a resized image is displayed the gif will break. What is your timing on adding the ability to have GIFS as thumbnails for the portfolio? Does the theme ship with dummy content? Also, confirming it's possible to have video playing as backgrounds? Please let me know as this is the last item we need to check off our list in order to purchase the theme. The post was edited 3 times, last by popbox ( Dec 20th 2018, 4:15pm ). I don't have an exact date on the release. We are working with high pressure on it. Yes, the theme ships with dummy content. Video Plays in Backgrounds is already possible. Does the theme support direct HTML 5 video? Ideally we don't want to have to host from Vimeo or Youtube. Thanks so much. Also please note: we just purchased the theme with support - so please disregard the "support expired" shown here. The post was edited 2 times, last by popbox ( Jan 16th 2019, 5:12pm ). yes you can use self hosted videos. Inside regular content, within the video module as well as inside the hero. The next patch will also bring an overworked version of the player, with new controls etc. but you can already use them.